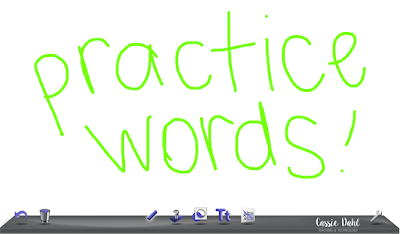 Do you use technology for word work or spelling practice in your classroom? 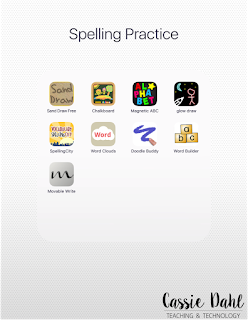 Keep on reading to find the top apps for both spelling list specific apps as well as general word building practice. All of these apps are free and student approved! 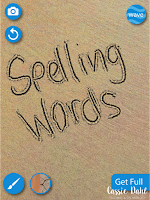 Up first, lets take a look at some apps that are specific to the spelling list for the week. 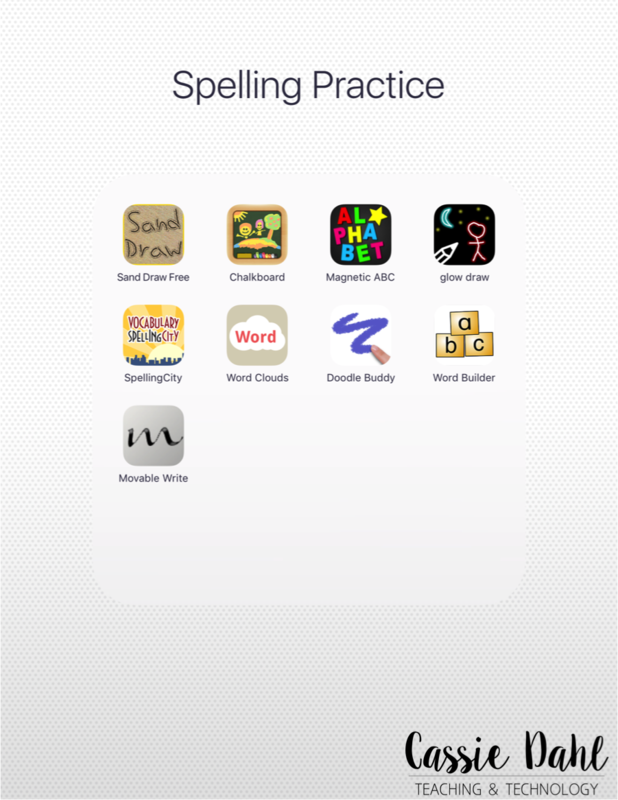 These apps are separated in a folder on our iPads called Spelling Practice. 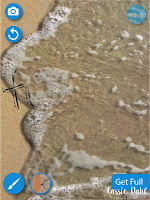 Sand Draw is an app that students can write their spelling words "at the beach". Once they have practiced the word, they hit the wave button and wash their word away. 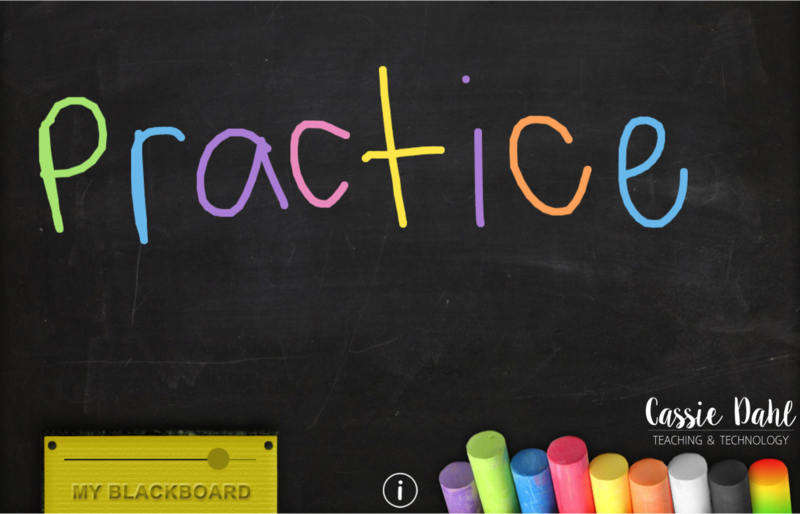 Chalkboard is an easy app to use and it gives students a ton of space to practice their words. 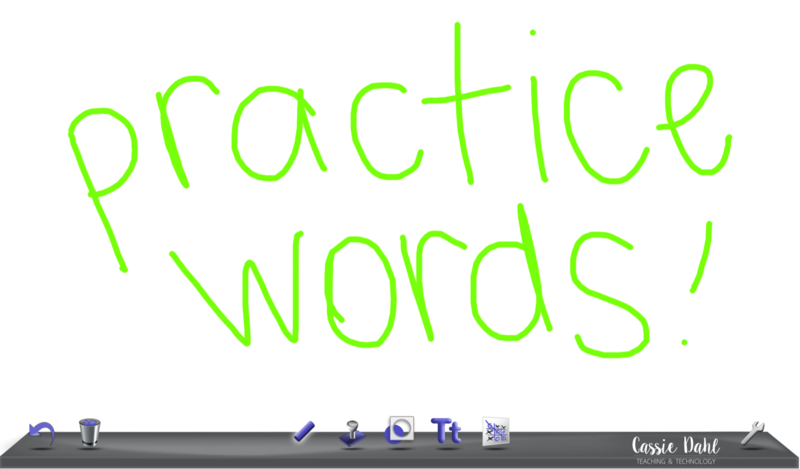 They can use a blackboard, whiteboard or the old-fashioned green chalkboard. When they are done writing they can use the eraser to wipe it all clean. This is one of the favorites in my classroom. Students use magnetic letters to spell their words. 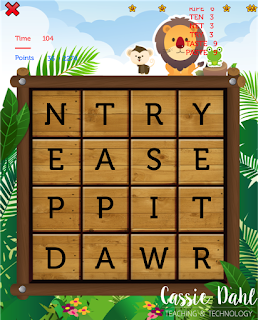 Once they have finished, they can pull the letters back down to the letter scroll on the bottom of the screen using the little brush at the top left corner. 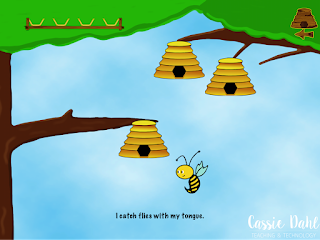 This is the other favorite app in my classroom! 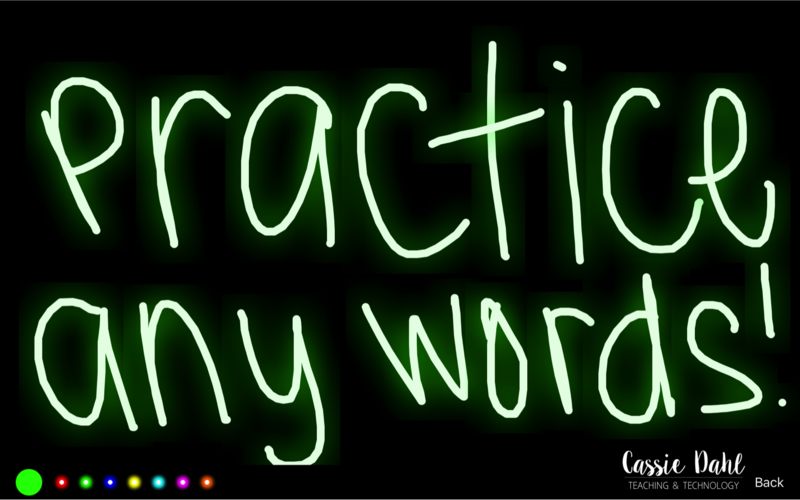 My students love writing their words on this black background. All of the colors glow so it is lots of fun! To clear, they shake their device carefully. 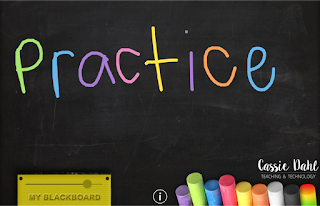 This app takes a little prep on your end before your students can use it. 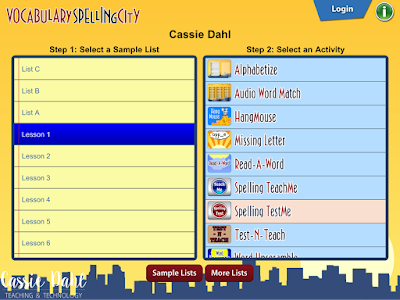 You can create an account for free online and enter all of your spelling lists. Students can then search by your name and find the lists! 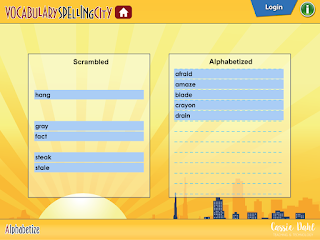 Once they have selected a list they can use those words in a variety of free activities. 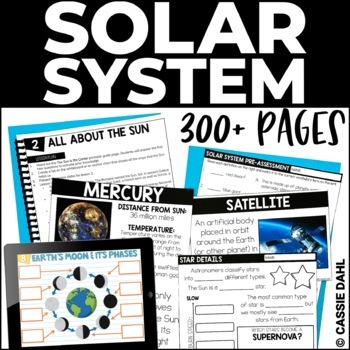 This is a new app that we only used a few weeks but my students liked it! 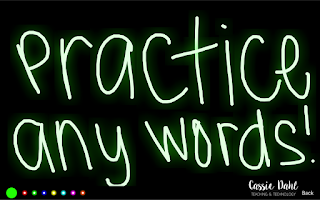 They enter all of their spelling words and then make a word cloud. 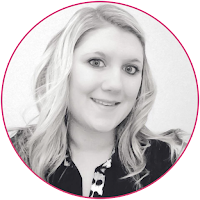 They can customize the fonts, style and colors. 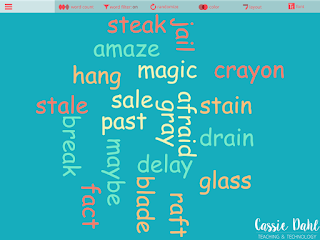 Once they finished their word clouds, I had my students take a screenshot and upload it to our class SeeSaw account. 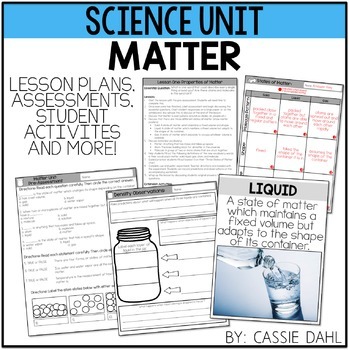 Another super easy app for students to use. 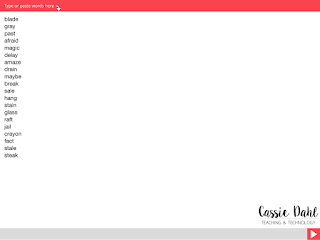 It is a whiteboard with a very simple interface. 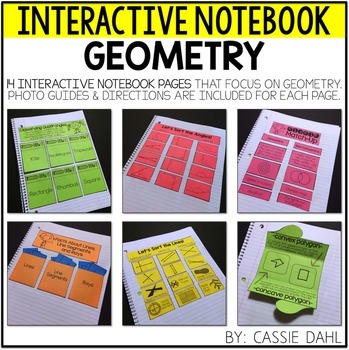 There is not many "extras" included in the app which is great to help students not get distracted. This is an app from National Geographic Learning. 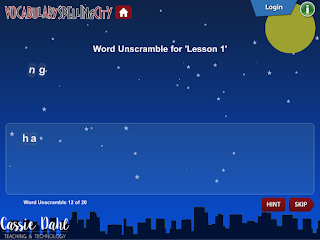 On the left there is a scrolling list of high frequency words. 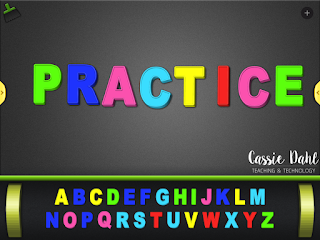 It is perfect for those weeks when you don't have spelling words but still do word work with your students. 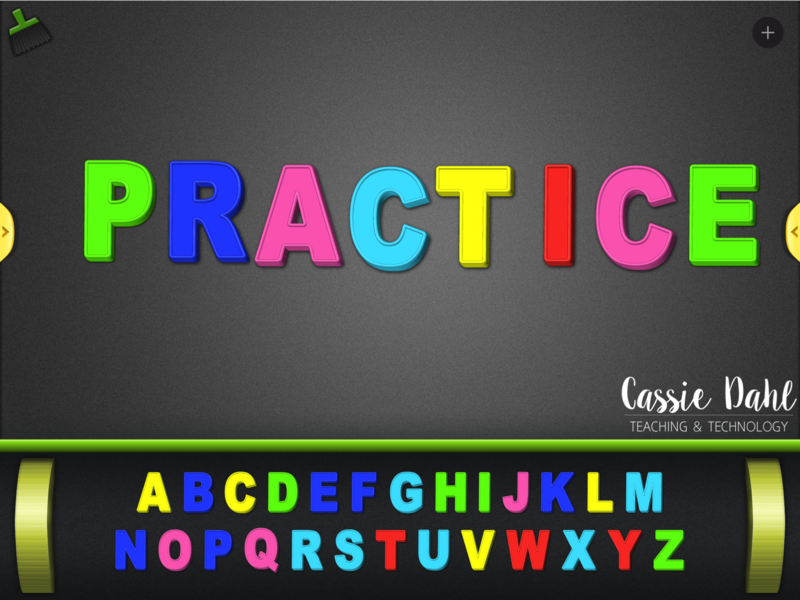 Students can either drag/drop letter tiles up to the work space or they can type them in with the keyboard. 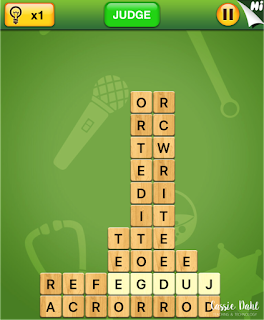 This app is like a movable piece of paper. 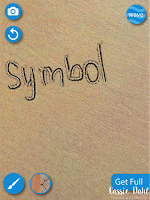 Students write their words with their finger and then move the page over. 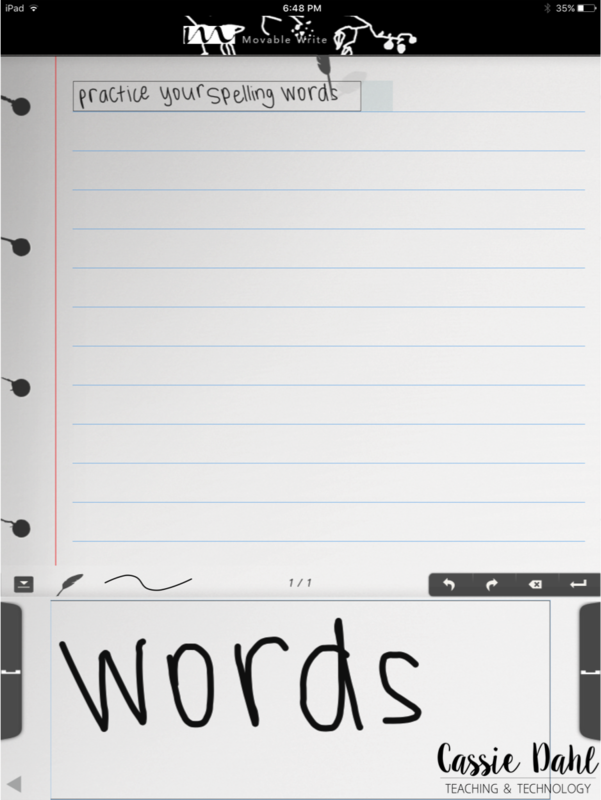 This app works great for working on writing too! Students can write big and the app shrinks their words down so they don't always have to clear the screen. 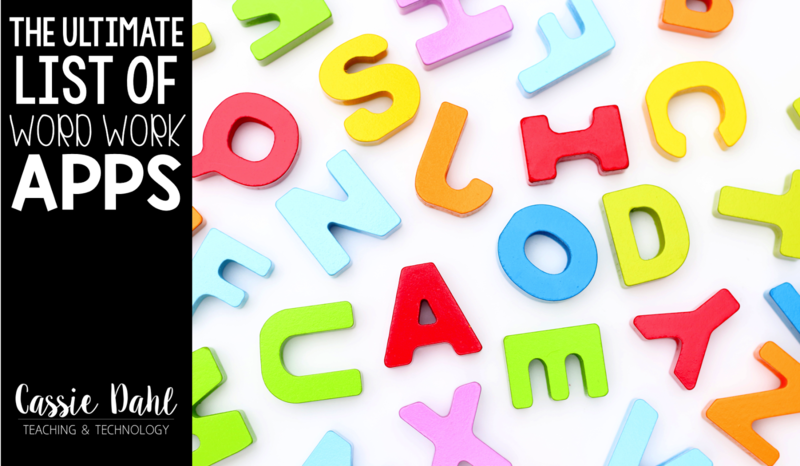 Now lets take a look at some apps that are more general word building apps. 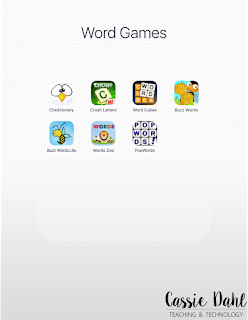 These are great apps for morning work, word work or even quiet time. 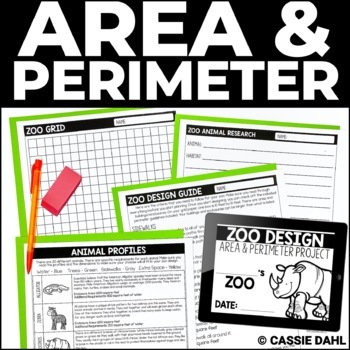 My students use these apps during inside recess too! 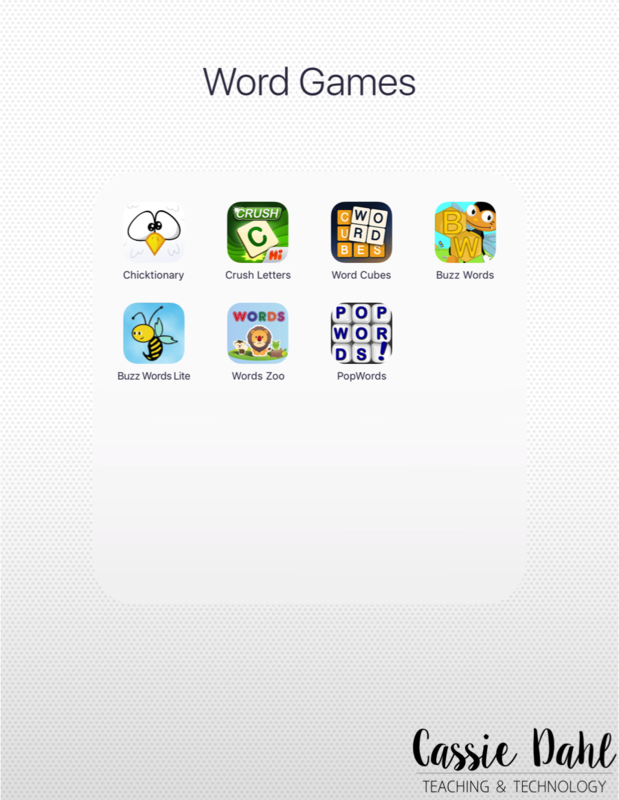 These apps are separated in a folder on our iPads called Word Games. 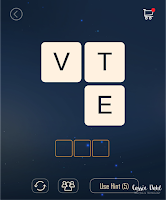 This app is a fun game for students to practice building words. 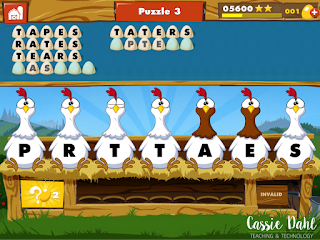 Basically you are in a hen house and each of the chickens have a letter on them. 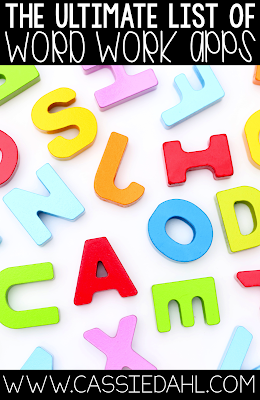 The goal is to build words out of the letters that are given. 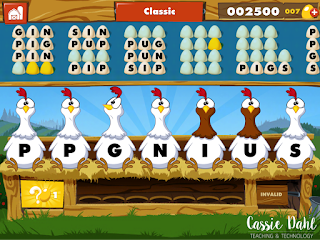 There are a couple different playing options (puzzle and classic). 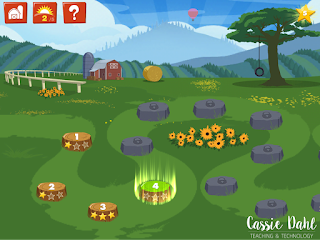 Crush Letters is a fun game that students love to play. The screen starts with titles stacked in a specific way. 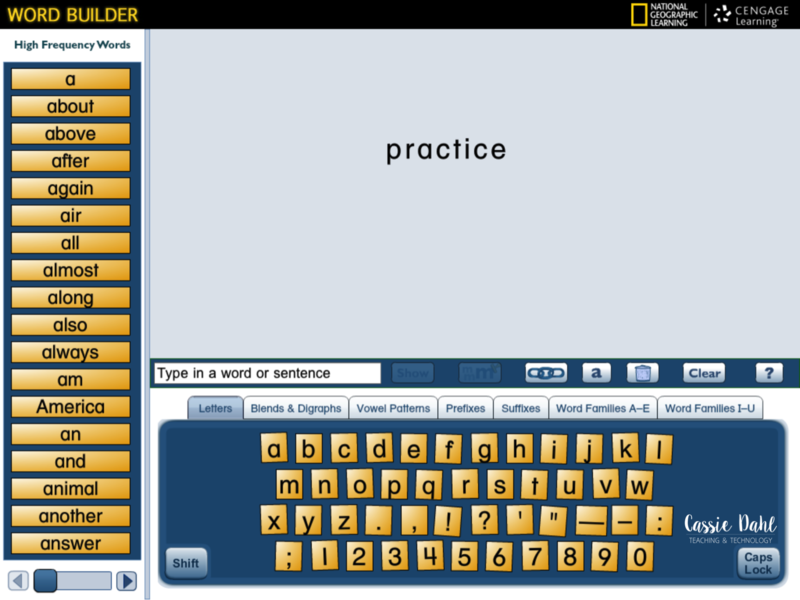 Students swipe titles together to "delete" words. There are categories that students can work through (such as animals, jobs, etc). 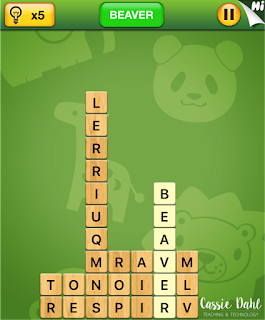 As the words are selected the remaining tiles either shift down or over to make new words. This app has a fun space/science theme. It has a variety of apps for students to work through. 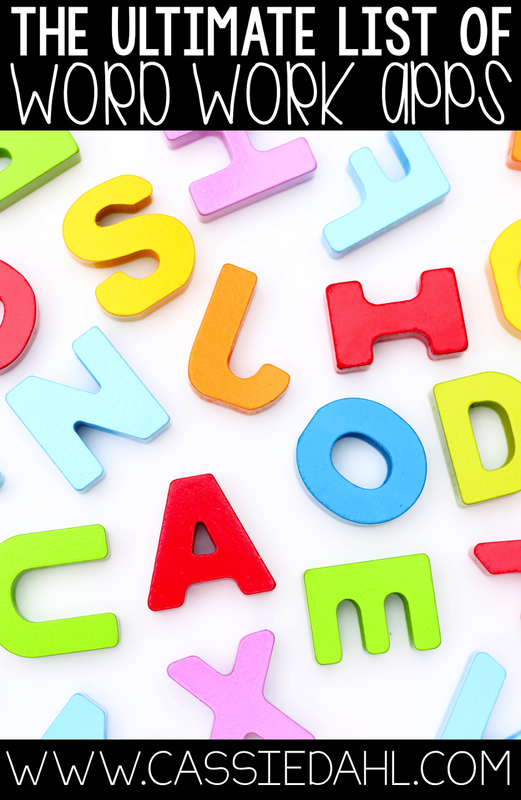 There are cubes with letters that form a specific word. 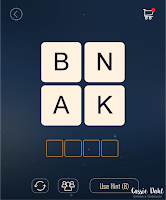 Students must connect the letters to unlock the next level. 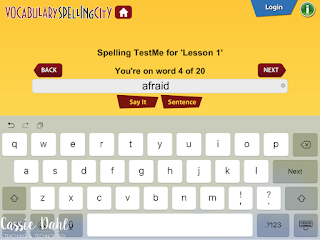 Buzz Words is super easy app to use! 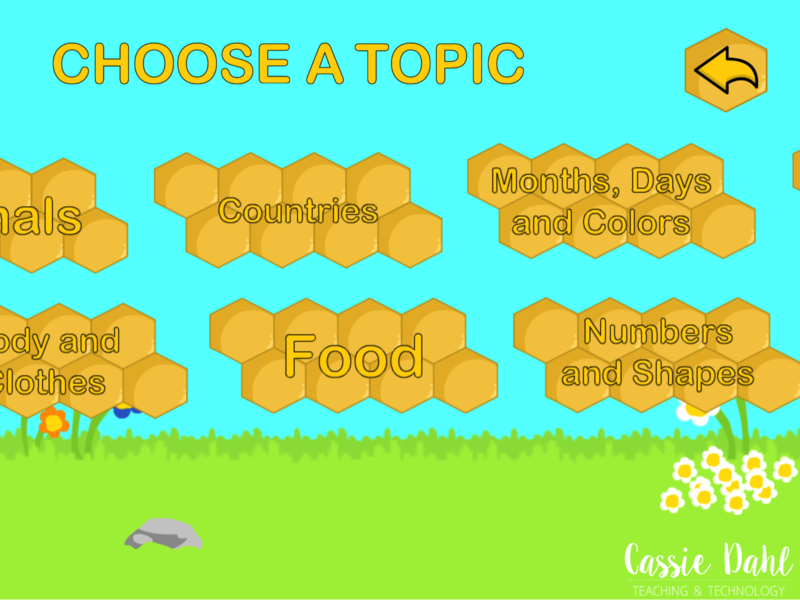 Students can choose a topic (or play random). 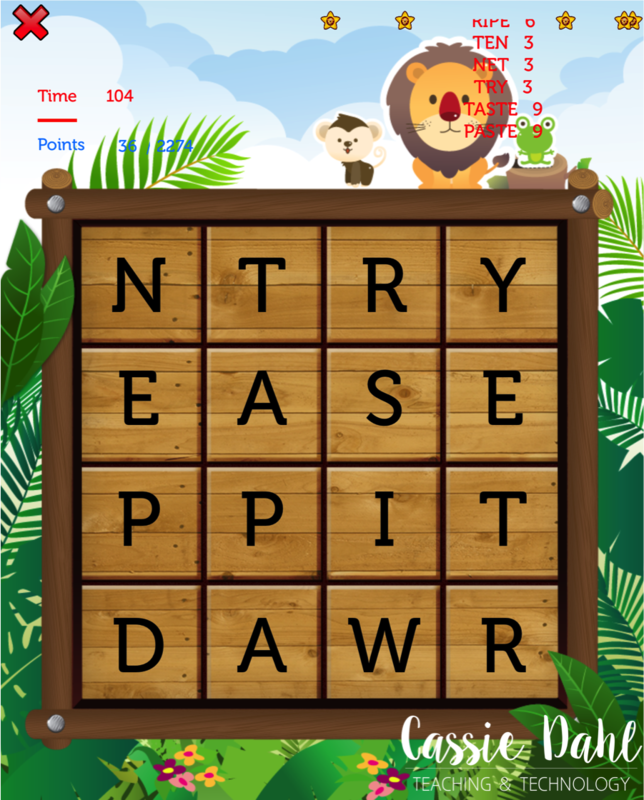 They are then given the letters along the bottom of the screen and they must build the correct word. Some of the topics include animals, food, countries, months, days, colors, numbers and shapes. 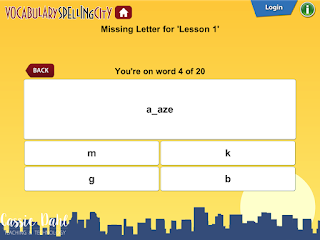 This is great game for students who are struggling spellers. It includes very basic words. 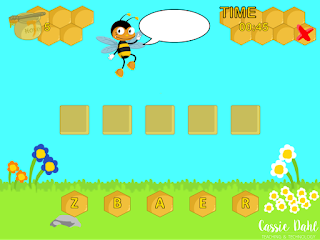 There is a clue at the bottom of the screen and students have to grab the letters as they fall from the beehive and drag them to the word grid along the top. 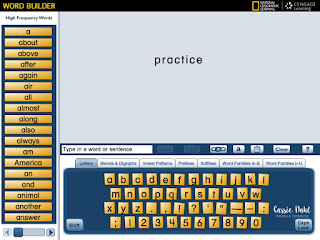 This app is great because students need to build words with a timer running! When students spell larger words they get more points. My students love to start playing on two devices at the same time and see who can get the most points in the time allowed! 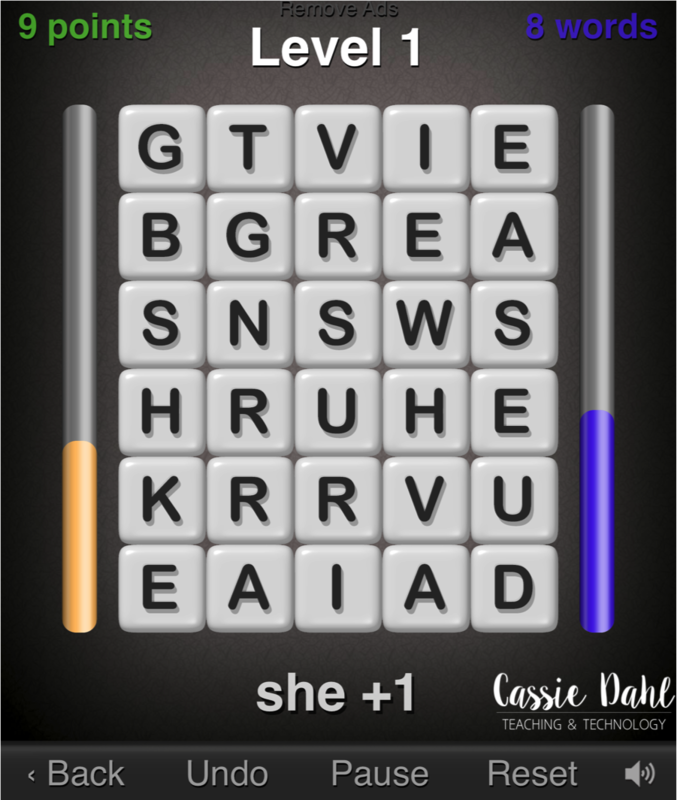 The grid 4 x 4 letters and students can connect up, down and diagonally. 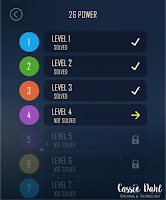 This app is a fun app for all of my students. They are given a 5 x 6 grid of letters. 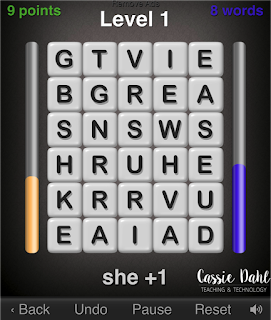 As they find words, the blue bar on the right goes up. As the time goes by, the yellow bar on the left goes down. Each word will up the time just a little bit. It is a battle against the clock! Remember, all of these apps are free in the App Store. 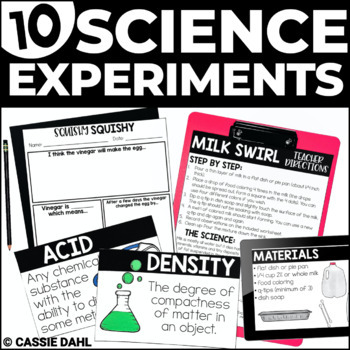 You can use them in your literacy centers, word work, quiet time or morning work. If you want to remember these apps or share them, pin the image below!